Mat board is a thick, acid-free, sturdy board used to frame and back paintings, drawings and photographs. It typically comes in white, and artists often waste the rectangle of extra mat board that's cut out when making a frame. Rather than throwing away the excess mat board, artists can recycle it into a canvas for a small painting. 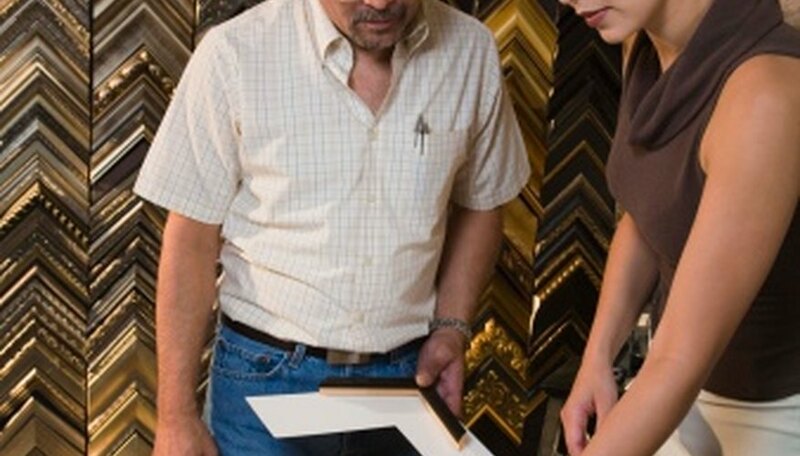 Artists may also paint a mat board frame to match the artwork inside, though this isn’t recommended for archival purposes. Paint the front of a mat board frame with watercolor, gouache or acrylic paint. Since these paints are chemically stable, there is no chance of the paint reacting negatively with the framed artwork. Wait for the paint to dry thoroughly before framing the artwork. Coat mat board with gesso to prepare the surface for oil paints when using the mat board as a canvas for artwork. Allow the first coat to dry, then apply two or more additional coats. If you want to use watercolor, gouache or acrylic paint for your painting, there is no need to prepare the surface with gesso. Paint your mat board using the same techniques you would use on any other canvas.